OMG Posters! 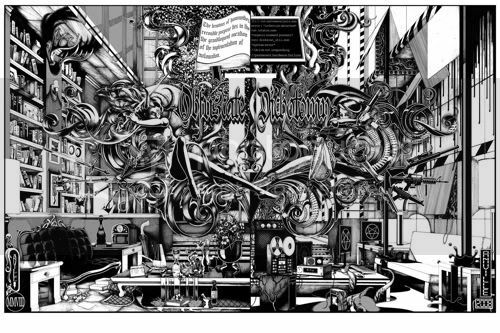 » Archive "Lafourcade II" Art Print by Anville - OMG Posters! This is truly, truly an amazing piece of art. 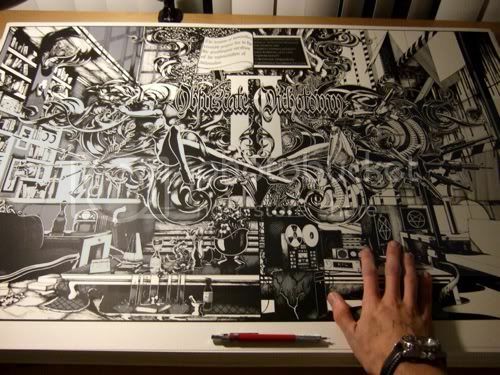 “Lafourcade II” was masterfully printed by Burlesque Design, but the original took Anville 6 months to ink by hand (yes, he drew all of that). The final product is a mind-blowing 24″ x 36″ screenprint with an edition of 100 and a price of only $60. This print marks the beginning of very good things to come for Anville, I can just about guarantee it. These will be up in the GP Classifieds later today, but you should go buy one right now at Anville.net. I’m really looking forward to see where Anville’s art goes. I love looking at his new works. 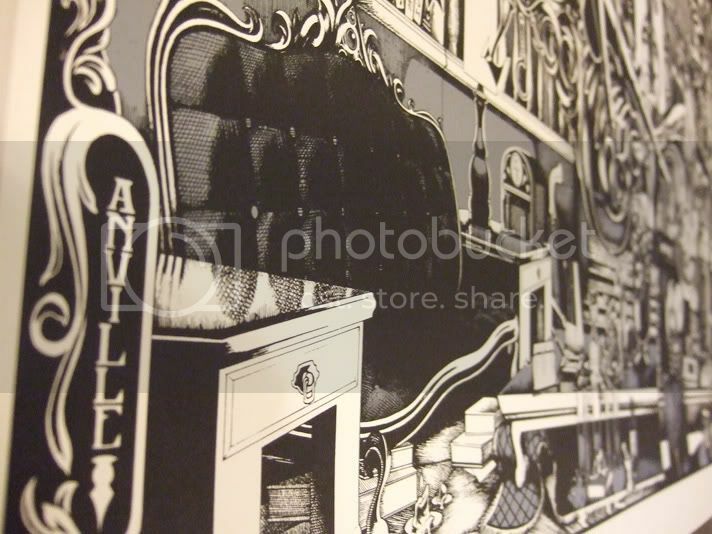 I haven’t seen this one in person but the Anville print I do have is a stunner in-hand.